Amazing Vermont retreat! 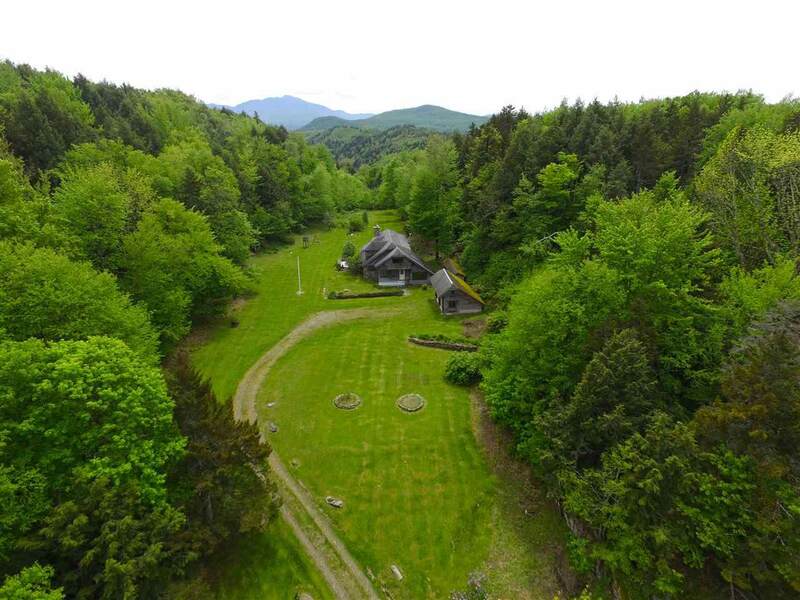 This picturesque year-round alpine retreat is tucked away on 67+/- extremely private acres. Experience gorgeous mountain views from your decks and most of the rooms. The real stone faade is built over traditional wood frame 6 construction offering both beauty and modern functionality. 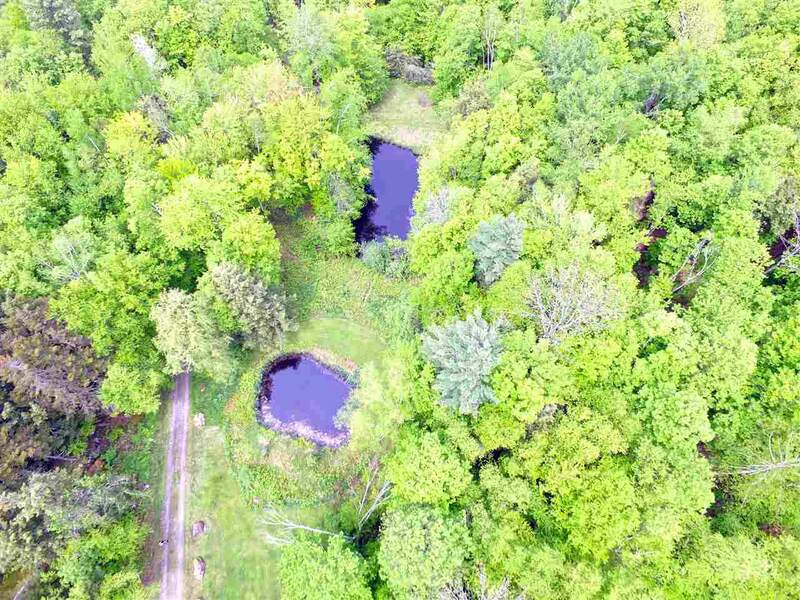 A long tree lined private drive elevates you to the ultimate in hidden privacy and the exquisite home sits on 1 acre of lovely lawn that looks over two spring fed ponds. 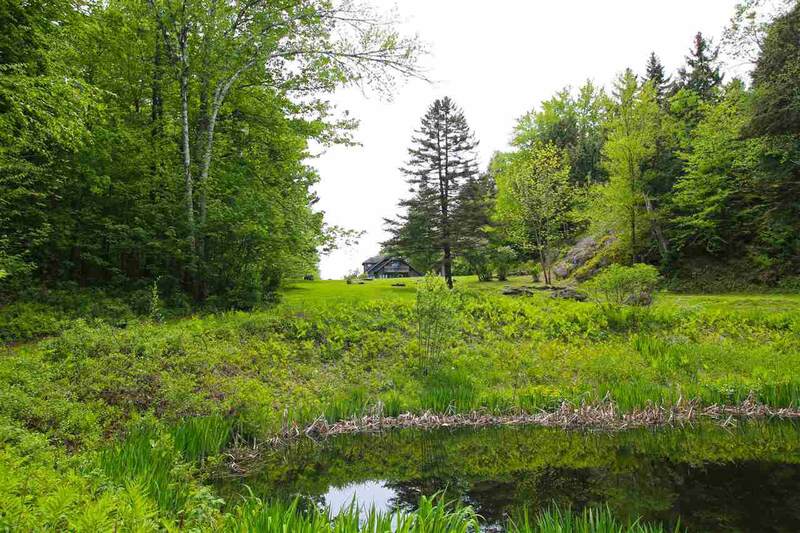 This open space is nestled between natural granite walls covered in moss & ferns. Enjoy european elegance with warm wood and slate floors and a massive stone fireplace with wood stove. Interior accents include antique Belgium windows in the second-floor hall and wonderful Dutch wall tile in the kitchen. The home boasts 3 baths, 3 unique bedrooms, a wonderful study and a dining room leading to the open great room. Swiss style lace made by a local artisan highlights the balconies. Enjoy the wonderful wildlife such as whitetail deer grazing in your yard or take long walks on your wooded acreage. Surrounded by mostly undevelopable lots, your future privacy is assured. 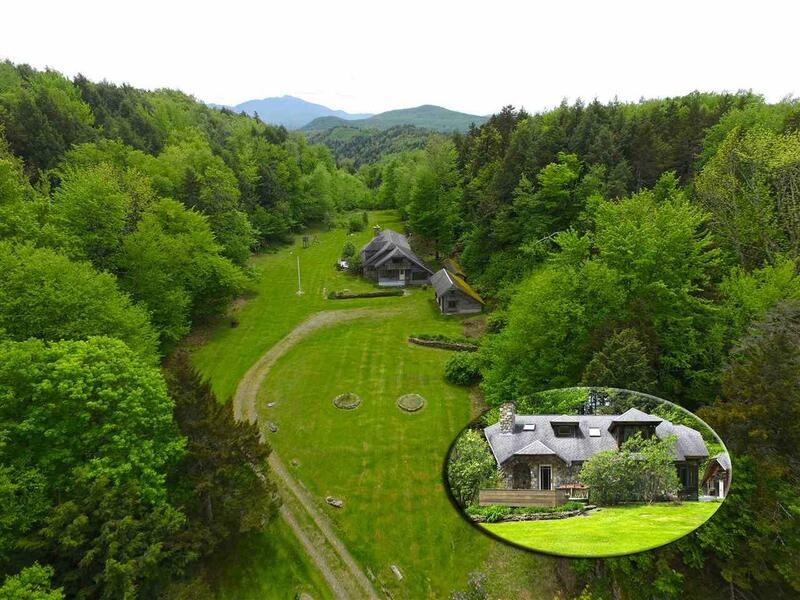 Located on the border of Jeffersonville the home is minutes from Smugglers Notch Resort & 50 minutes to Burlington and the airport making for an easy work commute. Second home buyers will appreciate the sellers local folks for plowing, mowing and maintenance, so once you come, you may never want to leave!